Check out their listing of Free Days at SCFD. These days can be so welcome for families with small children – especially in the winter. 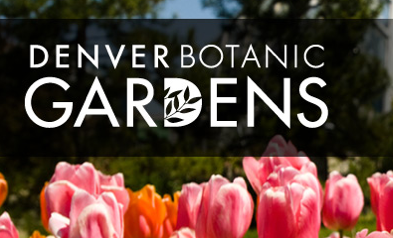 Take them to the Denver Botanic Gardens and let them run around and explore nature indoors and outdoors. Take them to the Denver Zoo and bundle up for a fun escapade to see these unique animals. Take them to the Denver Museum of Nature and Science and you can stay all day checking out the interactive exhibits and even catch an IMAX movie [not free]. 2015 Free Days: Get In On The Family Fun & Adventures! Free Days – Explore somewhere new with your family! 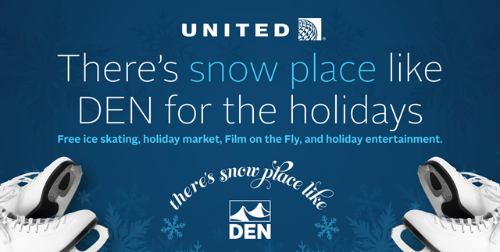 Don’t spend a fortune and get all the benefits of the great cultural things the Denver/Boulder Metro Area has to offer! There was recently a question about finding Free Days. Free Days are great! They are specific days when some of the best museums around town are free. This means you can stay as long as you like without feeling like you just dumped down a lot of money. It increases the fun! There are lots of Free Days throughout the year. Let them inspire you to explore somewhere new or a new corner of someplace you already know. Consider planning a picnic lunch if it’s a nice day. Or stop by Downtown Denver and take a ride on the 16th Street Mall Shuttle just for the fun of it! Want to plan a trip or just see what Free Days are coming up? Check out the SCFD Free Days Calendar for all the 2015 Free Days. Free Days: Get In On The Fun! A lot of these Free Days are in and around Denver. Consider planning a picnic lunch if it’s a nice day. Or stop by Downtown Denver and take a ride on the 16th Street Mall Shuttle just for the fun of it! Free Days: What’s Happening Around Town? There was recently a question about finding Free Days. Free Days are great! They are specific days when some of the best museums around town are free. This means you can stay as long as you like without feeling like you just dumped down a lot of money and have to get the value. It increases the fun! For a complete listing of FREE museums/attractions around Colorado click here. Once you decide on a museum or attraction you simply complete some personal information and they email you a ticket good for 2 FREE ADMISSIONS to whichever museum you choose. Clearly you can use more than one email account and get more tickets depending on the amount of tickets your family needs. You do have to get the tickets ahead of time. Get them here. My kids are fascinated with money. For kids it is a constant source of questions: Can I buy that? Is it too expensive? Why can’t we buy that $500 toy? If you are reading this blog I know you get it. I thought it would be great for my kids to see how money is made and so we toured the Denver Mint this Monday. Touring the Denver Mint is a fun, free activity for kids in Denver. History: The Denver Mint produces the most coins in the United States. They have a long and storied history that is part of the gold rush throughout the Western United States. 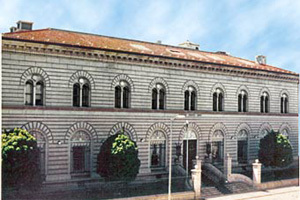 The building is impressive–old and beautiful. It also holds a LOT of gold. Experience: If you are like our Boulder family you know you are doing something special because you are going to the big city: Denver! You stand in line and get checked in by security much like the airport. Immediately you realize this is serious business and your small group [20 people] move into the building to check out some displays. The displays are somewhat interesting, but not overwhelmingly so because they are not hands on. Two tour guides take you through a few different rooms that hold displays. They also explain what is going on below you through the windows: they are making coins of all kinds. This is captivating! They are rolling out the coins we use daily. There were kids of all ages on our tour who seemed interested in the experience. Logistics: You have to make reservations ahead of time on their website. They book far in advance, but if you can keep checking back and sometimes things open up. What we liked least: The tour was short. It was not hands on. Recommendation: We recommend going if your kids are seven  or older. Younger ones can go, but this older group will actually enjoy it the most. Here is a list of some of the deals I have noticed around town or online. This week there are two local Boulder organizations to support: Rocky Mountain Kids & Kutandara. Denver Museum of Nature & Science Deal: Museum Entry, Planetarium, and and IMAX Film. $12/adult and $9/kids from Livingsocial. Universal Orlando: 4 day/2 park pass for $144. Travelzoo says it’s 70% off. I’ve noticed cheap tickets to Florida online as well. Check Travelocity or Kayak. Rocky Mountain Kids’ Big Sale: 25% off the ENTIRE STORE. July 13, 14, & 15. This is a great local store and they always sales worth checking out. Kutandara Intro to Marimbas Class: Children’s 90 Minute Intro to Marimbas for $12. Again, a great local resource to support. 2 Slap Watches for $12. This deal is from Plumdistrict. Kids love them. They are great for learning to tell time. And this seems like a good deal with free shipping. Worth looking.